The US-KS spacecraft are the geostationary Oko-S component of the soviet Oko early warning system. A US-KS spacecraft is mostly identical to the HEO version US-K and consists of three main subsystems: engine block, device compartment, and optical compartment. All the systems are mounted on a cylindrical frame that is 2 m long and has diameter of 1.7 m. Total mass of a satellite at launch is estimated to be 2400 kg, of which 1250 kg is dry mass. The engine compartment of an Oko satellite includes fuel and oxidizer tanks, four orbit correction liquid-fuel engines and 16 orientation and stabilization liquid-fuel engines. The stabilization engines provide active 3-axis attitude control, necessary for telescope orientation. The telescope system of a first-generation satellite includes a telescope with a mirror of about 50 cm diameter. The detection system includes a linear or matrix infrared-band solid-state sensor that detects radiation from missiles. In addition to this, the satellite has several smaller telescopes that most likely provide a wide-angle view of the Earth in infrared and visible parts of spectrum, which is used by operators of the system as an auxiliary observation channel. The satellite transmits the images formed by its telescopes directly to the ground control station in real time. Some first-generation satellites were launched into geosynchronous orbit by the Proton launchers. These launches, which were conducted from the Baykonur launch site, were all successful. The choice of observation geometry and of the highly elliptical orbits has been usually attributed to the lack of proper infrared sensors and data processing capabilities that are required for obtaining a look-down capability. According to this logic, in the absence of suitable sensors, the Soviet Union had to rely on a the grazing-angle observation geometry, which allowed the use of less sophisticated sensors than those used by the United States. Beginning in 1984, the constellation of HEO early warning satellites was complemented by satellites in geosynchronous orbit. Satellites that were placed into geosynchronous orbit were the same first-generation satellites that were deployed in highly elliptical orbits. A satellite placed into the point with longitude of 24 degrees on geosynchronous orbit would see missile launches from U.S. territory at exactly the same angles as an HEO satellite during the working part of its orbit. In addition, a geosynchronous satellite has the advantage of not changing its position relative to the Earth, so one satellite can provide continuous backup of the HEO constellation. The introduction of geostationary satellites made the system considerably more robust, for it became much more tolerant to a loss of HEO satellites. As was already discussed, without the GEO satellite the system cannot provide continuous coverage of the U.S. territory with fewer than four satellites. With the GEO satellite present, the system could still detect launches even if there are no HEO satellites deployed. The quality of coverage may suffer and detection may not be reliable enough, but the system would not be completely blind. The Soviet Union conducted an experimental launch of one of the early warning satellites, Kosmos-775, into a geostationary orbit. In 1984 the Soviet Union began the program of deploying early warning satellites in geosynchronous orbit. As discussed above, at that point these were the same first-generation satellites that were deployed in highly-elliptical orbits and that were limited to the grazing-angle observation geometry. Nevertheless, deployment of these satellites in geosynchronous orbit must have significantly increased the overall reliability of the system. 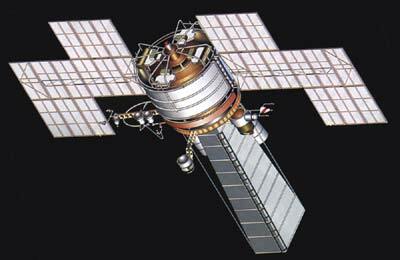 The first operational early-warning satellite in geosynchronous orbit was Kosmos-1546. In May 1984 it reached the point with longitude of 24 degrees west from which it was able to detect launches of U.S. ICBMs. Kosmos 1940 is possibly not a US-KS satellite, but a experimental satellite to detect nuclear tests.